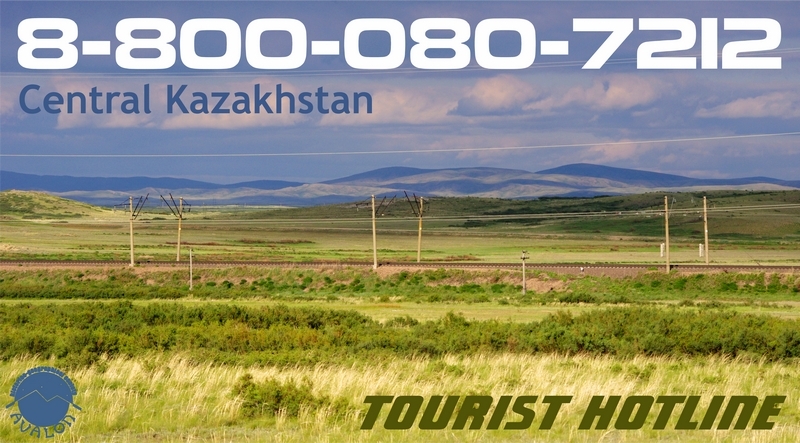 Tourist hotline in Central Kazakhstan is now in operation. From now on everyone who is interested in tourism in Karaganda and Karaganda region may reach “Avalon” team at 8-800-080-7212 and get all the necessary information on the topic (also in English). The hotline operates daily except for holidays from 9 a.m. to 6 p.m. Calls are free of charge and can be made from every landline in Kazakhstan, as well as from mobile phones provided by all Kazakhstani mobile operators. The hotline is mainly aimed at the tourists, who come to Karaganda region and wish to visit city sights, as well as to get to know the interesting places in the region, such as Kyzylarai oasis or the Ulytau mountains. However, it will also be of use for the residents of Karaganda, who often know very little of the variety of travel opportunities the region has to offer. “Avalon” team will try to give the answers to all kinds of questions a tourist may have ranging from tips on interesting tourist sights and practical information on accommodation or transport matters to various rules and regulations for travelers. Of course, the data base at our disposal will be regularly improved and updated. he hotline opening and maintenance are financed by “Department of entrepreneurship of Karaganda region” PA. In future the hotline will hopefully operate 24/7.